You need to develop balance in every aspect of your life. Work and home life. Social and personal life. Healthy and indulging habits. But, in this article, we are talking about your actual physical senior balance issues. 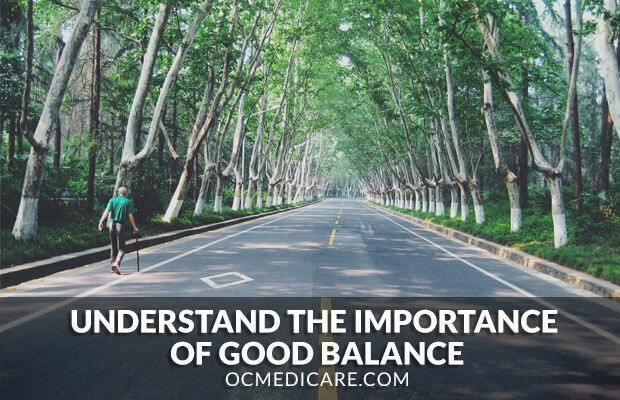 Statistics state that almost 20% of older adults have balance issues in a single year. Why is good balance important? If you are able to control your balance and stay steady on your feet you are in control of your body’s core functions. This will help you to stay stronger and avoid falls and injury. Little things like getting up from a chair, bending over or climbing stairs are all activities that require good balance. Therefore, good balance is important to help you get around, carry out daily activities and stay independent. How does your body maintain balance? “Your sense of balance relies on a series of signals to the brain from several organs and structures in the body, which together are known as the vestibular system. The vestibular system begins with a maze-like structure in your inner ear called the labyrinth, which is made of bone and soft tissue. Within the labyrinth are structures known as semicircular canals. They tell your brain when your head rotates or moves up or down. When you turn your head, fluid inside the semicircular canal moves, causing the cupula to flex, which bends the stereocilia. This bending creates a nerve signal to the brain to tell it which way your head has turned. These organs work with other sensory systems in your body, such as your vision and your musculoskeletal sensory system, to control the position of your body at rest or in motion. This helps you maintain stable posture and keep your balance when you’re walking or running. It also helps you keep a stable visual focus on objects when your body changes position. This is one of the most common balance disorders and is commonly referred to as just vertigo. As a result, You will experience a brief, intense feeling of dizziness when you change the position of your head.This problem is more likely to occur in adults aged 60 and older, but can also occur in younger people. This disorder is caused by an infection or inflammation of the inner ear. This causes dizziness and loss of balance. It is often associated with an upper respiratory infection such as the flu. The causes of this disorder are still unknown. You will experience vertigo and hearing loss. This can affect adults of any age. You will feel a constant rocking or bobbing sensation. This is typically associated with a recent sea travel event (like a cruise). It can go away within a few hours but there have been cases of it lasting several years. There are many ways your doctor can treat balance disorders. Treatments vary depending on the cause. See your doctor if you are experiencing dizziness, vertigo, or other problems with your balance.